This is a really interesting take. I maybe wouldn't call Nathan a dancer, because I have several friends that are professional dancers and Nathan doesn't really compare (which makes a lot of sense and is not a criticism of Nathan, since he isn't a professional dancer). But I do agree that the choreography is like dancing in the sense that it doesn't utilize the ice as a medium all that much: you could do the Caravan choreo on the ground and it wouldn't really suffer. (For comparison, I'm thinking about something like the Otoñal spread eagle, which wouldn't work anywhere else, or for that matter the wonderful bit of choreography in Étude after the first spin). But I really think this analysis is exactly why I tend to enjoy Nathan's short programs at first and then grow increasingly more weary of them. This was especially true for Nemesis but I feel the same about Caravan as well. When we first saw it it was new and fresh, and Nathan seemed to be having fun with it and was entertaining to watch. But while I'm sure Nathan genuinely likes Caravan (and liked Nemesis, which is clearly the superior program), it doesn't seem like he has much of a connection to it beyond that. 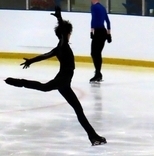 He's skating this particular program because it was choreographed for him and because it gets the job done. So as time goes by and the novelty disappears, the interpretation starts to feel a bit shallow. Both this year and last, by the end of the season Nathan reminded me of an actor who has played the same part too many times, just going through the familiar motions and expressions. Meanwhile in LGC Yuzu is a rockstar, and it's about the relationship between the audience and the performer, and from the unusual jump entries to the detailed spins to the crazy step sequence, there's just a lot more to it. You can tell how invested Yuzu is in the program any time he performs it, and that goes for all the programs I've ever seen him skate. So instead of wearing out as he settles into it, it grows and transforms and becomes better and better and better. I feel like I'm just reiterating this in a lot more words, but I basically very much agree. Nathan is an entertaining performer and Yuzu is an artist, and it's impossible to compare the two. I’m in, %100. Or or we could watch GPF 2015 or Worlds 2017, and pretend scoring still makes sense and Javi never retired. Yes, that’s what I want from skating too - the technical and artistic aspects developing simultaneously, until you almost can’t tell one from the other. I wonder if we will ever see a skater capable of that again. This does sometimes feel like the end of an era, doesn’t it? 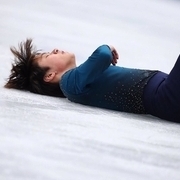 Yuzu is still here, as brilliant as ever, but men’s skating seems to have veered off the path he blazed... eta: if you want to talk about this more, maybe we should do it privately so we don’t bother everyone else? I agree completely. I think he seems like a sweet person, but even if his (and more than that his team’s) approach is “pushing the sport”, it’s not pushing it in a direction I want to see. This is getting a bit off-topic, but yes, I wish he was with a team with a more balanced approach to skating. But in exhibitions, Nathan has transitions. Oh, come one, we had one Nemisis throwback at worlds, we don’t have to see it again, again. Not his best outing of this program, but he’s probably quite tired. That was the reason he watered down his contents if I remember correctly. i still prefer Nathan in exhibition to Nathan in competition. Unrelated, but that bra looks so comfortable, despite the frills and sequins. Where can I get one?